As of 1 January 2018 Fakton will join the HPP-REDA community. 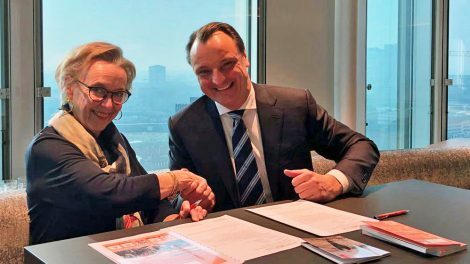 With the signing of the membership agreement by Fakton director Peter van Bosse, MSc MRICS, last 9 January, Fakton joined the HPP-REDA community for real estate developers and consultants. Fakton is one of the leading consultancy firms in the Netherlands with more than 35 years of experience in the real estate sector. Fakton combines strategic ability, organizational strength and financial inventiveness to bring projects and capital together in the real estate domain. Holland Property Plaza and HPP-REDA (Real Estate Developers & Advisers) forms a part HPP. Christa Thijssen, director of HPP “We are looking forward to cooperate with Fakton in the coming years”.